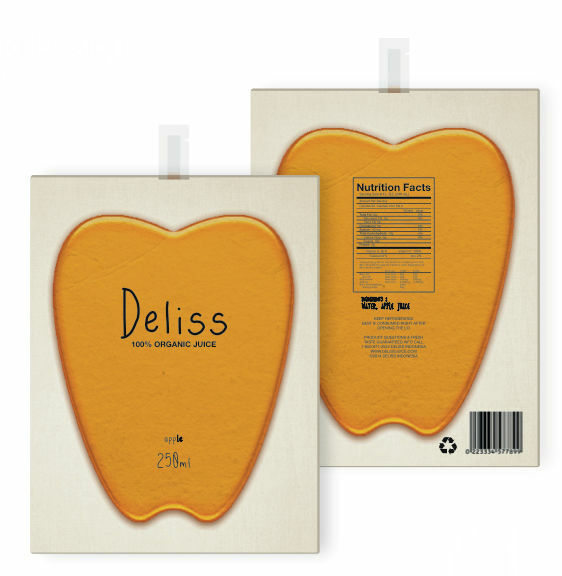 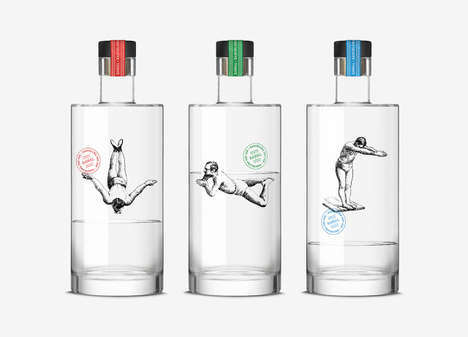 This juice packaging concept for Deliss by Erlinda Tandra presents an organic juice in an eco-friendly way that's fresh and appealing. 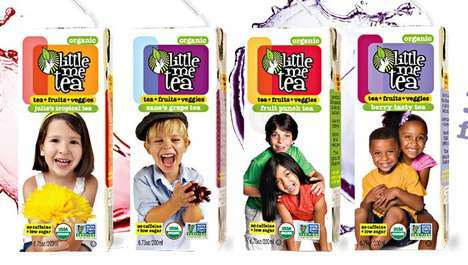 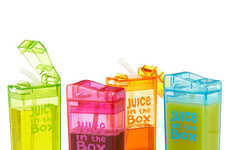 The juice packets are shaped just like the fruit flavor inside, including cutouts shaped like apples and grapes. 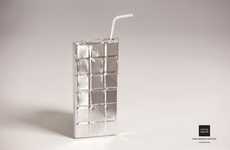 Rather than having to worry about attaching a straw to the pouch, the design includes a built-in straw that can simply be torn off to sip from. 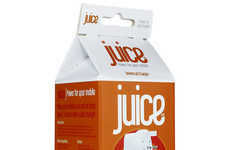 Other than highlighting the color of the fresh fruit juices, details on the juice pouches are quite minimal. 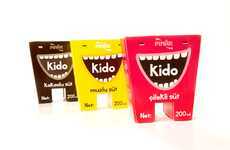 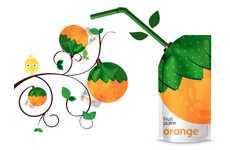 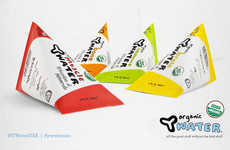 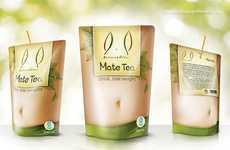 However, the pouches proudly show off the nutritional content of the juices, as well as a bold recycling symbol. 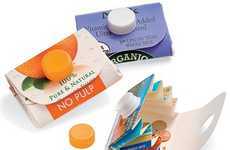 The simple pouches are quite humble, although there are a lot of good things going for it that consumers can see for themselves, without it having to be flashed in their faces.